The NKBA Texas Gulf Coast Chapter (TGCC), Region 7, is just one of many NKBA chapters all over the country with more than 450 local members. We subscribe to all of the goals and objectives set forth by our national organization. 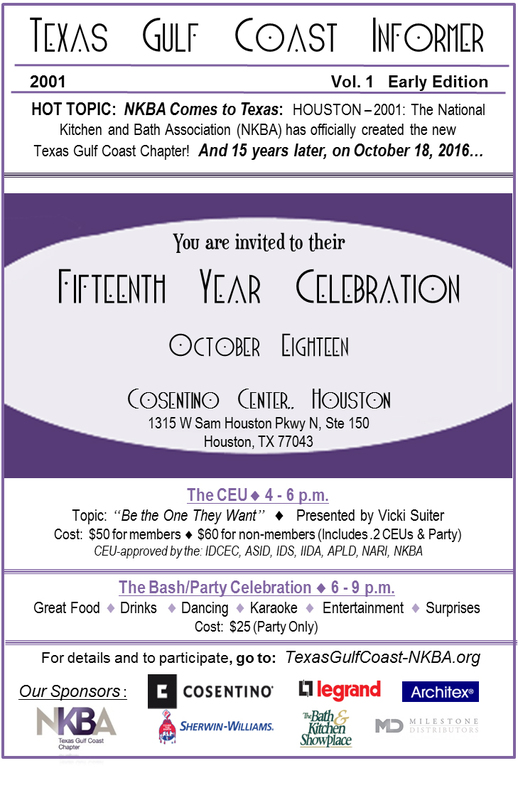 Click here to visit the NKBA Texas Gulf Coast website. KBIS (Kitchen & Bath Industry Show) highlights, trends, & new products. Come join us to see what’s on the horizon, great networking, and fun! Come, meet us, and enjoy an evening of fun, good food, and an informative presentation on lighting. .2 credit hrs – Approved course for IDCEC-ASID, AIA, NKBA & IIDA. Earn up to three CEUs in this exciting 3-topic event! Come see, experience, and enjoy our table-top vendor displays, hear about the vendor’s most cutting edge and state-of-the-art products for 2018. There will be vendors on hand to give a full audience 3-5 min produce presentation with a 2–3 min Q&A. Also the added bonus is the Houston MSI showroom with tiles and stones of all types, outdoor landscape materials, and more. This will be a fun evening with great food, beverages to quench your thirst on a nice Houston evening in May, a great group of people to network with, and some nice surprises. There is no cost to attend this event; however, everyone must register to attend this event. Vendors interested participating and getting your name/logo added to this list, please contact Matt Hegemier or Pat Brewer at info@TexasGulfCoast-NKBA.org. So stay tuned and be sure to join us!!! Our chapter welcomes your participation at this meeting. As part of our response to the Hurricane Harvey Relief, there is no cost to register for this meeting. However, we are asking that you bring gift cards ($10-15 ea card) from local food stores, pharmacies, and/or restaurants. Our officers will distribute cards to individuals and families affected by Harvey. The trend in today’s bathroom design is to create a spa environment. This CEU will show how a residential steam shower fits that design trend. So, make plans to attend this presentation and to visit Milestone Distributor’s newly renovated showroom. We look forward to seeing you there! Lunch will be served. CEU Details: Come Taste, Learn & Explore! We have a different format for this exciting evening meeting! The Ferguson Woodlands Showroom is beautifully designed for a multi-topic CEU (Total 2 CEU credits). Come Taste, Learn & Explore, and all among friends… Start your evening with chef prepared tasty bites and smooth mellow beverages to cool you down on a warm summer evening. You evening will begin with Chef Michelle Morris, owner of Southern Cadence Cuisine, one of Houston’s leading Chefs. Michelle will be providing an interactive cooking demo on preparing delicious foods while presenting information necessary for making selections of some of the newest appliances on the market. The second part of the evening will be finished off with a showcase of some of the newest trends in plumbing for kitchens and baths (presented by: Karen Ashcraft, Southwest Sales). Our Sponsors make our meetings very special for all in attendance. The food & beverages will be top notch. Please make plans to attend. CEU Description: It is without a doubt that, if you have a business, you need to have a presence on social media. But, what can a small business do when there are more things to do than there are hours in the day? In this world of technology, it is be found or be forgotten. Many business owners have set up social media sites only to let them go weeks and months without activity. Social media is about connections and engagement. When connections and engagement are overlooked, then your business just disappears in the mix. So, you have set up your sites and you are on social media–but you have not actually worked your strategy. So, the question is: I am on social media–now what? Meeting Hosted by Cambria USA. Did you miss KBIS 2017? Or, you may have attended KBIS, but could not see it all. We have the scoop on what’s new and what’s trending. We will provide you with an inside look at some of the most exciting kitchen and bath products currently on the market and that are on the horizon for 2017. There are some surprises, some fun must-haves, some nice-to-haves, and many things you must know to successfully compete in the design of kitchens and baths for the masses. Join us for this exciting CEU. Please join us for our Annual December Charity & Social Event! December is the month where we recognize all of our sponsors for the year and where our TGCC members make an extra effort to give back to the community. So, mark your calendar and make plans to attend the December 6 meeting at Aria Stone in the DCH at 5:30 p.m. There will be donation drop off boxes at the following locations. Please tell your friends and all you know to make those donations. 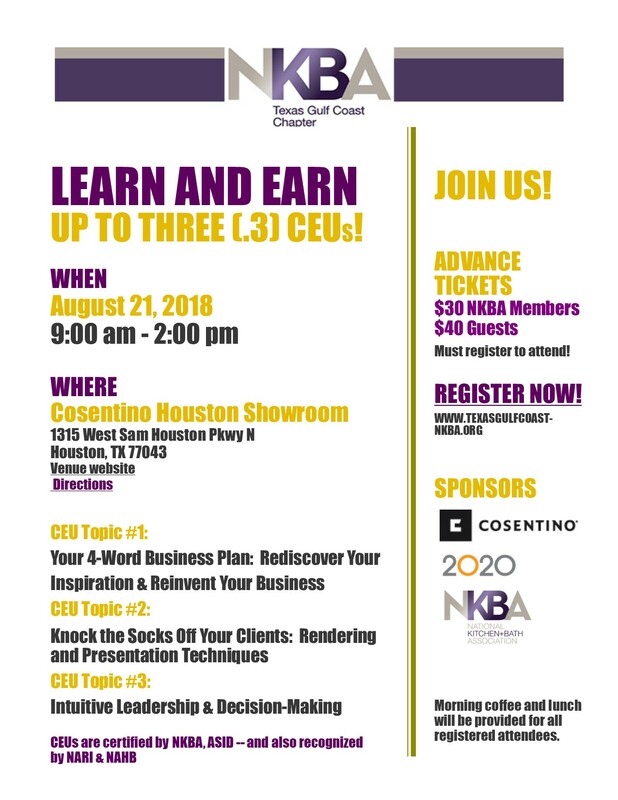 Don’t miss out on this exciting topic and a visit to a new NKBA showroom meeting location — Houston northside. During your visit to MSI’s brand new showroom (a must see), there will be some welcomed surprises — a tour of their renovated facility, networking opportunities for K&B professionals, great food and wonderful beverages. “Appetizers prepared by Thermador Chef Robbie Rensel” and sponsored by Manna Distributors. 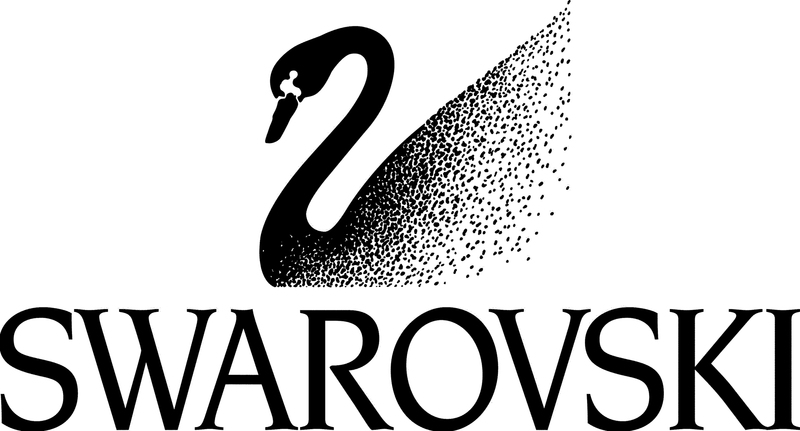 August Lunch, Learn, & Network! Come lunch with us and receive product guide info for home remodel projects in the “Aging in Place” market incorporating various convenience and safety hardware items. Knowing what available adaptive products to specify is a key factor in meeting these clients’ needs. Many aging Americans desire to maintain the dignity and familiarity of their personal residence, and so, wish to adapt their homes to progressively limited abilities, either realized or anticipated. Learn about hardware components that can be used in an adaptive design that will enhance a client’s residential environment as a safe, attractive and comfortable home for life (in Kitchens, Bathrooms, Closets, Doorways, and specialties such as LED lighting). Presenter: Steve Lawrence, Outside Sales Representative for Cornerstone –A Division of Richelieu Hardware, has more than 25 years of experience as a custom residential builder. He has earned multiple designations from the National Association of Home Builders, including CGR (Certified Graduate Remodeler), CGP (Certified Green Professional) and CAPS (Certified Aging in Place). Description: Poggenpohl has an exciting showroom and is bringing in the fabulous chef, Francesco, who will offer a creative, nutritional, fun cooking demonstration. He will provide information on using the right kitchen appliances for food preparation and making healthy food selections. You will be able to taste first hand an exciting, delicious, healthy meal. The results of this experience will help you share with your clients how the appliances in their kitchens make a difference and can lead to healing through better nutrition. So, why not take a moment to come enjoy and learn how you can make Healing Through Nutrition work for you. Learn the basics of how tankless water heaters work, their sizing, and appropriate applications in this growing market of the bath & kitchen industry. Kevin Milazzo has a total of 12 years of tankless experience from working in tech support at Takagi to representing Rinnai and Rheem tankless water heaters for over 7 years. This will count for .1 CEU for certified professionals. The Bath & Kitchen Showplace – Moore Supply Co. Tomball is generously sponsoring this event hosted at our Southwest Sales office on Beltway 8 between I45 & SH249. Emser Tile will treat us to a Wine & Food pairing as well as a Beer & Food pairing provided by Spec’s; give us a sneak peek of their new 2016 products; and have a fun game with a Spec’s gift card drawing! Brenda Bryan from RICKI (Research Institute for Cooking & Kitchen Intelligence) will present Kitchen Trends: What’s the Next Big Thing in Kitchens. Based on research data from homeowners as well as professional kitchen designers, this presentation will identify products and kitchen features/layouts that may move from more high-end kitchens to more ‘mainstream America’ kitchens. This presentation will highlight specific kitchen-related products, product features, kitchen layouts, and working zones that will become more popular for the American family kitchen. Presentation will count for .1 CEU for certified professionals.